I’ve written poetry and taken photographs for a very long time, and I won’t claim that they are all fantastic or publication worthy. However, these two mediums seem to feed off of one another. I’ve taken pictures, only to look at them again and be inspired to create a poem — with phrases pouring from me just when I take a peek. In other instances, I’ve read poems and sought out some of the places in those poems, even if they are not the exact spot that inspired the poet to write the poem. For instance, you can find a snowy path or road in the woods, take a breath and be Robert Frost on that road, or you can take a photograph of your own garden and spy a bee on a flower and write a poem. 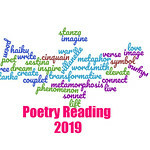 After challenging myself earlier this month to enter Rattle‘s Ekphrastic Challenge, I thought today would be the day for a fun activity as National Poetry Month 2016 winds down. Today, I thought it would be interesting to see what readers come up with by looking at one of the photos I took a few years ago. I’d love for you to share your short poems or even take a risk and post your own photo and poem on your own blogs and join in. You’re free to take it in any direction! Oh, my! I wasn’t expecting a writing prompt (like Magpie Tales). This would require more time than I have at the moment. I enjoyed Anna and Rhapsody’s verses. Naida sometimes posts a (published) poem and a photo together on her blog, The Bookworm. I love Naida’s blog. Thanks for stopping by, and feel free to contribute when you have more time. Wow, that darn Anna, showing me up! (not hard to do, ha ha) But I agree: very very impressive! Ha ha! I just scrawled that down in a couple of minutes. No idea where it came from! Anna’s muse was with her!